classic fun for all ages! Cha-rades? Hey, what's that? 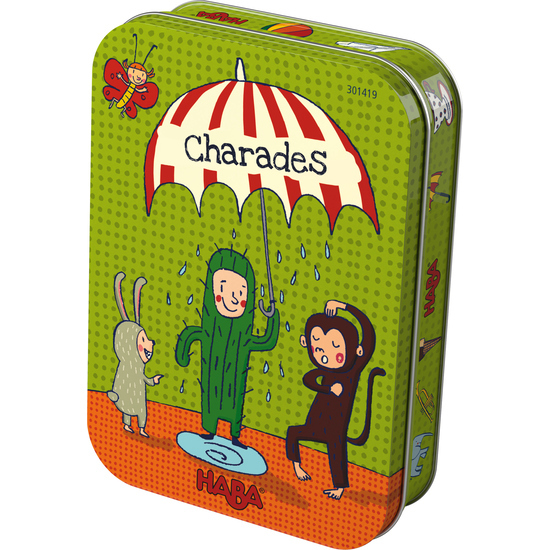 Charades is a way of describing things without using words and by using only gestures, facial expressions and body movements. The aim of the game is to guess as many as possible of the things acted out during the game. Contents: 48 picture cards, 7 blank cards (you can write on these ones), 1 sand timer (this is used for the game variation), 1 set of instructions.